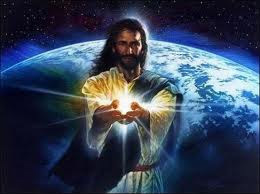 Arcturian Ascension Tools: Jesus: You Are All Beautiful Beings Of Intense Light! Jesus: You Are All Beautiful Beings Of Intense Light! These are interesting times! Much is happening in the physical realms that is quite unprecedented. The stability of many of your “democratic” governments is no longer assured as dissatisfaction with the whole political process among the citizens of these various countries increases. And the elected officials seem either unaware of the situation or are unwilling to address it. From such situations revolutions arise. Enormous changes are about to occur that will amaze and shock you as the real agendas of many in positions of power and authority over you are disclosed by disaffected minions and employees. Whistle-blowers are appearing everywhere with information that has been withheld but which should have been in the public domain. As this continues so does people’s dissatisfaction and that leads to change. In this case to enormous change! All the disclosures about endemic corruption in high places are happening as a result of humanity’s collective decision to awaken from the dream. What has lain hidden for so long can no longer be kept hidden, and as more and more of the endemic corruption is exposed it becomes apparent to all sane beings that change is essential. Therefore, change will occur. We have been telling you this for some time now so that you will be ready, and many changes are imminent. It probably seems to many that we have been using words and phrases like “soon, imminent, very close, sooner than you can imagine,” with a cavalier disregard for the way time unfolds on Earth. This is most definitely not the case. It takes time for the importance and inevitability of the forthcoming changes we are talking of to root themselves in your awareness so that you strengthen your collective intent to bring them to fruition. That is what has been happening over the last few years as more and more people have become aware of the corruption and dishonesty that is endemic worldwide within the governments, international corporations, large banks, and global industrial behemoths, that those who run them have consistently told you are honest and trustworthy. You now know that this is not the case, and you very recently made the collective decision to dissolve the old system so that a new and incorruptible one that benefits all of humanity can be constructed to replace it. As you well know, war is the business of large industrial corporations and the banks that fund them and they make fortunes from the suffering of the masses. That is to change. Small groups of inordinately wealthy, influential, and powerful people have been in control of global economics and politics for far too long, and their reign is coming to an abrupt end. Much of the strife that is presently ongoing across the planet is as a result of their last ditch attempts to maintain their positions of power by causing conflicts and intense suffering in as many places as possible to create fear on a vast scale. They then hope to militarize even more of the world so that they can lock it down and continue to control you. They will not succeed! 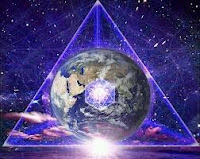 Here in the spiritual realms we are well aware of the frustration you are experiencing as you wait expectantly for the promised changes that will establish peace on Earth, and food, shelter, and security for all on the planet. 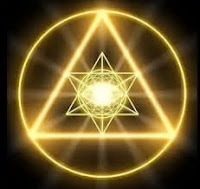 Humanity has set the collective intent for these changes to occur, and therefore they will. Truly the power of your collective intent is immense, you have chosen collectively to awaken, and so you will. You are already in the process of doing so, and there is not the slightest possibility of you changing your minds or reversing your awakening process. What you have collectively chosen to achieve is unstoppable. As you read this, allow yourselves to sink into the center-most point of your being where Love shines brilliantly and resiliently in every moment. You mostly remain unaware of It because you allow doubts and anxieties to rule your thought processes. Going deeply within at least once daily is absolutely essential for your well-being, so do not neglect or forget to do so, and as you do open with certainty to the abundance of Love that resides there within you awaiting your unconditional acceptance of It. It is always there for you, but It does not force or impose Itself on you. Love is infinitely powerful and infinitely gentle. That probably seems like a paradox to most of you, but it is the Truth, because there is nothing else! Love only seems not to be present within you because you have all, at some stage, been led to believe that you are unworthy, and so you do not believe that you will find It within you. Release those invalid and insane beliefs, remind yourselves frequently that you are indeed the beloved children of God, living eternally within His divine embrace, and dismiss all the negative self-judgments that weigh you down with an absolutely false sense of worthlessness vis-a-vis God. What God creates is eternal, like unto Himself, eternally perfect, and eternally infinitely loved. And He created YOU! Or do you not believe that? In that case where did you come from? Because there is nowhere else! Many of you have of course been hurt from time to time by those whom you believed loved you, and that has reinforced that underlying sense of not being good enough, a sense which is often denied because it is too painful to be aware of. I am now telling you, and by no means for the first time, that it is utterly invalid! There is nothing about any child of God – and all are God’s children – that is unacceptable, unworthy, mean-spirited, or disgusting. You are all beautiful beings of intense Light! Please, I beg of you, let go of those totally invalid self-judgments and allow the Love within you to flow. You are all divine conduits through which Love most strongly desires to flow. Love’s nature is to flow, but, because It will not impose or demand, It cannot flow through you unless you allow It to do so. Your own negative self-judgments restrict or completely block that flow, to yourselves and to all of humanity. When you accept yourselves you are accepting God into your lives and then His infinite Love completely suffuses you and flows from you out into the world at large, directly affecting everyone with whom you interact in any way at all. You are presently on Earth to do just this. You all chose to be here in this moment for this divine purpose, and your part in it is absolutely essential. Dismiss all negative self-judgment and discount any negative judgments that others attempt to impose upon you. Be loving in every moment, in other words, be yourselves! That is why you are here. And as you live honestly as yourselves the whole world changes as the unreal just falls away and Love pervades everything.